Domestic Violence Awareness Month traces its roots back to October 1981 as the “Day of Unity,” with the intent to end violence against women and children. Eventually, the “Day of Unity” was celebrated for an entire week, before the first DVAM was observed in October 1987. One of the most critical aspects to helping victims of domestic abuse is not falling into the bystander trap. The Ramstein Family Advocacy Office is planning several events to increase awareness of domestic abuse during the month of October. 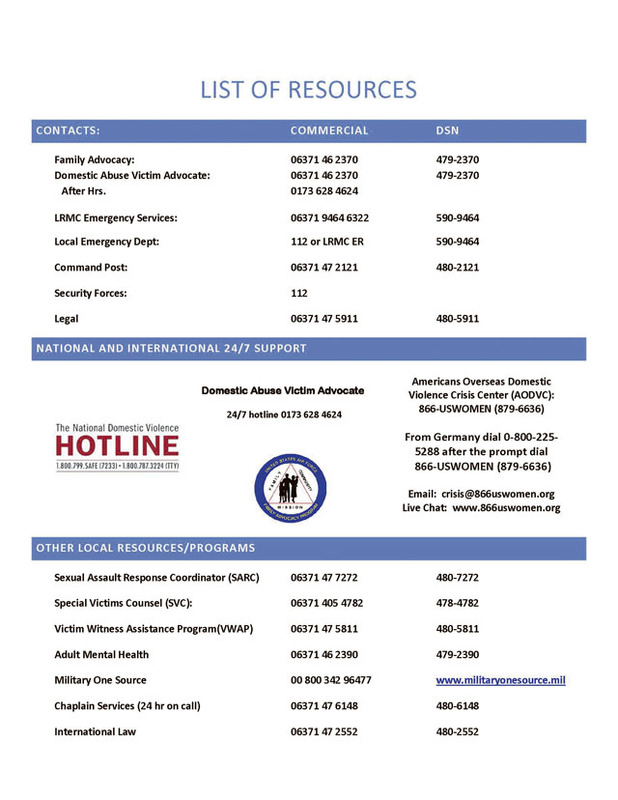 If you or someone you know is a victim of domestic violence, or would just like to receive more information, call the Ramstein Family Advocacy Program at 479-2370 or 06371-46-2370.